The Electricity at Work Regulations 1989 place a duty on the employer to ensure that all electrical equipment is maintained in a safe manner. This is normally done by completing portable appliance testing. We provide a simple and cost effective solution, enabling all organisations to comply with the Electricity at Work Regulations. We have been specialising in PAT testing across the UK for over 10 years. Each appliance is tested to the requirements of the IEE code of practice for Testing of Electrical Equipment. We use the latest computerised PAT testing equipment and are able to test all portable appliances in your company including – IT equipment, microwaves, 415V & 110V. We carry out the inspection and testing using fully qualified electrical testing engineers. We aim to delivering a quality service to all of our customers. To reflect this the testers we use are a member of both NICEIC and NAPIT – The National Association of Professional Inspectors & Testers. All our engineers have undertaken a NAPIT assessment and are subject to regular monitoring of their work and records. 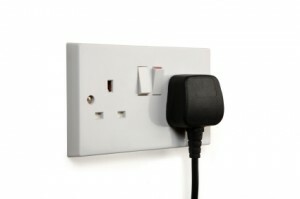 All electrical equipment to be tested has to be disconnected from the mains supply. In a busy office this can cause a problem; therefore we provide out of hours service at no extra cost. On completion of the testing we issue you with a safety certificate and a detailed report. The report provides information on tests carried out on each individual item. All items that pass the inspection & testing will be labelled with a safety sticker and a unique barcode number that helps us keep track of all portable appliances in your company. We repair minor faults found during the course of the inspection as we find them and the appliance re-tested. If we find more serious we will always provide a quote first. If you require more information on PAT testing / portable appliance testing or any of the services outlined on this page please contact us.